Millennials are the next generation breaking into real estate investing. Learning how to invest in real estate at a young age involves knowing how to deal with the challenges. House hacking, multifamily properties and wholesaling can all make good exit strategies for young real estate investors. In 2019, Millennials are predicted to make up a large proportion of home buyers, but their impact on the real estate industry will not stop there. Millennials will also make up the next generation of real estate investors. While investing in real estate young may seem challenging, it is not impossible. Aspiring investors should know that when it comes to real estate investing, there are just as many solutions as there are challenges. Learning how to invest in real estate young will take time and research, but with the right preparation young investors can set themselves up for lifelong success. Keep reading to learn how to break into real estate at a young age. There are numerous benefits available to those who start investing at a young age. Perhaps most importantly, is the opportunity to start on what would become a lifelong passion. Historically, real estate has proven to be a highly lucrative investment option. Those who take the time to learn about investing early can create the foundation for a worthwhile, profitable career in life. While you can start investing in real estate at any age, there are certain perks Millennials can bring to the table. For example, this generation grew up in a world surrounded by new technology. Considering all of the changes in the real estate industry today, a knack for technology could help young investors succeed early on. Read this article to more about the future of real estate technology. Young investors will often also have a higher degree of flexibility when it comes to choosing an investing strategy. For example, investors in their 20’s and 30’s may have more free time and a willingness to try alternative investments. This can open the door to unique opportunities, like house hacking, that may not be attractive options later on. Aspiring investors should remember to use age to their advantage and test out multiple exit strategies, markets and even property types. When it comes to purchasing properties, starting early provides the chance to build equity over time. If you buy a home now, ten or twenty years down the road you’ve likely built up significant equity through loan payments and property appreciation. By investing in properties now, young entrepreneurs have the chance to build up significant equity. This can pave the way to impressive, high value portfolios through time. Yet another benefit to investing at a young age is the chance to build up a network that will last a lifetime. In real estate, your network will be crucial to securing financing, finding contractors and landing deals. 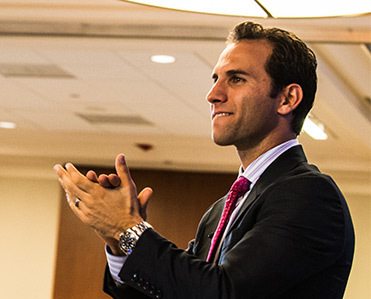 Young investors who are ready to hit the ground running can start building connections that will benefit them throughout life. All in all, there are a multitude of benefits available to those who break into real estate investing young. While you can start at any age, young investors have the chance to lay the groundwork for a successful investing career. Lack of Resources: Many young investors blame their inability to get started on a lack of resources. Some even report finding opportunities, but complain they don’t have the money to take advantage of them. Others are too afraid to get started because they think they need more money. If you don’t get started, you won’t have any more than you do now. And there really are ways to invest in real estate with no money down. It’s just a matter of learning the right strategies and tactics. Have you considered a private money lender? Truth be told, a lack of capital should never be an excuse with all that is available out there. You just need to know where to look and be prepared when an opportunity presents itself. Not Being Taken Seriously: While youth is frequently considered a strong asset in business, many young entrepreneurs fear they won’t be taken seriously. Unfortunately, it is a legitimate fear, but not one that can’t be worked around. Know that there are many circles in which others are specifically looking for those that are 30 and under. Opportunities are there for younger investors, but you need to be willing to put in the time to gain experience. Let your hard work be your resume. It also wouldn’t hurt to hire a veteran mentor or to partner up with a more experienced investor. Self-Doubt: Everyone that considers doing something different runs into the fear that they are insane for believing they can do it, or should try it. Often times, such a feelings sneak in right before the leap is made, or after the initial excitement begins to wear off. Recognize that this is a way your brain sabotages you into inaction. Those in the business call it analysis paralysis. Don’t let this happen to you. Anticipate it, and realize the need to work through it in order to see results. Lack of Established Credit: Younger real estate investors often have to face the reality that they don’t have well established credit. Maybe you are fresh out of school, still in school, or have just been strict about paying cash for everything. Credit can play a role in some types of investing and in business. However, you don’t need great credit, or any credit to get started investing in property. Don’t let this excuse rob you of your potential. Expectations: Buying and flipping houses is often made to appear very easy. However, it is easier said than done. New investors will quickly learn that they need to start marketing for deals, learn how to evaluate properties, and write offers. Some expect to be doing a dozen deals a month right out of the gate. Money can come fast and easy in real estate, but it can take some time to build up a pipeline, and for deals to close. The better you understand what’s really involved in getting a deal, and what realistic volume is, the faster success will come. Connections & Relationships: One of the myths about the wealthy one percent is that they were born with money and connections. Some are, but there are even more millionaires and highly successful real estate players that have worked their way up from the bottom. Connections and relationships are one of the easiest things to build. You may need to learn or hone some communication and rapport building skills, but there is nothing stopping you from getting out there and making new contacts today. Build contacts, and you will be surprised at where some of them end up taking your business. Student Loan Debt: Whether you are in college, fresh out, or dropped out for real estate purposes, there is a good chance you’re carrying some student debt. It is important to recognize that it can throw a wrench in your debt-to-income ratio, but there may be no faster way to pay off that debt than real estate investing. Finding Customers: Stop looking for people to sell to, or for deals to fall into your lap. Start looking for as many people to help with their real estate and finance problems as possible, and everything else will fall into place. The What’s Next Trap: If you keep getting stuck on what you need to do next, you’ve skipped the most important step in getting into real estate investing: a business plan. Create a system that works for you; one that is tailored to your goals. Use it as a reference when you get stuck. The Process: If you haven’t been through the real estate transaction process yet, buy a home. Owning your own home creates a great financial foundation, and will kick start your investing. It will also teach you a ton about the process of investing purely for profit. Many young investors will find it challenging to raise financing when they first start out; however, this should not signal the end of the road. The key to investing at a young age will be learning how to leverage your time, motivation, and what capital you do have to your advantage. While it may seem difficult, finding success as a young investor will come down to learning the best ways to work with what you have. House hacking refers to renting out a room in the property you are already living in. For example, if you have a second bedroom or converted garage space you could use those rooms to generate monthly rental income. This strategy is a great way to supplement your income without purchasing a property yourself. House hacking can also be a great way to reduce your overall living costs, as you may be able to split living expenses other than rent with your tenant. There are a few things to keep in mind before house hacking, like understanding how to be a landlord and setting tenant boundaries. While this is a great way to generate rental income, the situation will involve taking on a roommate. Make sure you are ready to share communal spaces and manage a tenant before you list the space. If you are interested in getting started, read our ultimate guide to house hacking to learn more. Multifamily rental properties can be another great option for those wondering how to invest in real estate at a young age. This strategy involves purchasing a multifamily property, and living in one unit while renting out the rest. This can be a great option for investors who like the benefits of house hacking, but not the idea of an actual roommate. That being said, multifamily properties offer shared maintenance costs, steady cash flow, and in some cases better financing when compared to single family homes. There are several types of multifamily properties investors can look into. These include duplexes, townhouses, and even small apartment complexes. To get started you should learn how to evaluate different markets, potential cash flow, and financing sources. If you play your cards right, multifamily rental properties can turn out to be highly lucrative for young investors. Wholesaling refers to finding properties, getting them under contract, and then assigning that contract to a buyer. Wholesalers will earn money through contract fees. This process does require a strong understanding of your market area, and an ability to network effectively. However, it is a great strategy to learn a lot about real estate, and fast. This real estate exit strategy is actually where a lot of real estate investors get their starts. That is because while wholesaling revolves around buying and selling houses, the wholesaler never actually purchases the property. Therefore, it does not require significant capital to get started. If you are interested in learning more about wholesaling, be sure to watch this video. Learning how to invest in real estate takes careful planning, no matter where you are in life. That’s why young entrepreneurs should not be scared away by the potential challenges of starting an investing career. Instead, learn to use your age to your advantage and start building a portfolio today. Whether it is house hacking, rental properties or wholesaling, there are several beginner-friendly entry points where you can break into real estate. With the right dedication, investing in real estate young can help you set yourself up for the life you want. What questions do you still have about breaking into real estate at a young age? Or, what is one thing you wish you knew before getting started? Share your thoughts in the comments below!